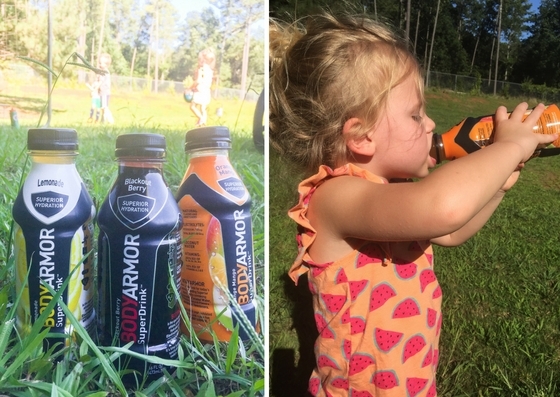 Thank you to BODYARMOR and Kroger for sponsoring this post through the Mom It Forward program. All thoughts and awesome opinions are our own! Summer Break is in full swing, but even though we are enjoying the lazier school free days that come with the season, our sports activities have marched on without missing a beat. Of our six kids, we have been lucky enough to have five little athletes on our hands (It's still too early to tell for Baby Cute, but based off her couch flipping skills it's probably safe to say she's not too far behind the elders. ), and during the year we make sure to do everything we can to keep their little bodies running at top shape so that they can have the tools necessary to play their best. The summer months can be brutal for athletes - as well as spectators (a.ka. sideline cheering parents and siblings!) - and those scorching practices and games can take their toll if you don't come prepared to combat the elements. As veteran sports moms we've learned a trick or two for keeping everyone on our team happy, healthy, hydrated and ready to bring the heat (not just bake in it). We know that staying properly hydrated is a major factor not only for our little ones athletic success, but for their overall health. Here are some tips and tricks we've learned to ensure that everyone stays as hydrated as possible during these hot and humid months of the summer. Having the right clothing can make or break and athlete somedays. When field temps can sometimes reach into the hundreds during the warmer months of the year, the heat in combination with all their gear and clothing can make a little athlete sweat more than normal. Heat geared clothing that wicks away moisture and promotes air flow is what we aim to put our kids in. We choose things lighter in color and loose so that they can keep their bodies as cool as possible while running around. They'll still be sweaty, but hopefully by giving them a little more air flow with cooler clothing their bodies have retained some of the hydration that it needs. Drinks...lots and lots of drinks! One of the best, and most obvious, ways to keeping little ones hydrated is by having regular access and breaks to have a drink. Aside from carrying large sports jugs of water with us at all times, we pack additional drinks in our sports coolers to give the kids options when it comes to rehydrating. Our personal favorite to pack is BODYARMOR. We've been long time fans of this sports drink because of they way it provides superior hydration, but without any artificial colors or sweeteners. This healthier alternative to traditional sports drinks contains only 20 calories per serving, and is low in sodium and high and potassium. It's made with coconut water and packed with electrolytes and essential vitamins. With all the added benefits of this sports drink we know it's the best thing to have on hand for when our athletes need to refuel. BODYARMOR comes in a ton of yummy flavors that the kids love, and we usually make sure we are fully stocked anytime we head to Kroger so that we have plenty on hand at all times. After all that running, swimming, flipping, cheering, kicking, twirling, and base running we want their little bodies to soak up as much goodness as they can! In the warmer months of the year we have learned that off the field hydration is just as important as on the field. We continually make sure that our little athletes stay hydrated even when they aren't practicing or playing at the moment. From quiet downtime to other activities we may be enjoying, we make sure that our sports lovers are drinking as much as they can so that they can be well hydrated before they even step onto the field, up to the plate, or shout one cheer. And if you are on the sidelines watching your siblings, it's still hot and we make you drink too! Keeping hydrated all day every day is our goal! We want to keep you and your athletes hydrated too! 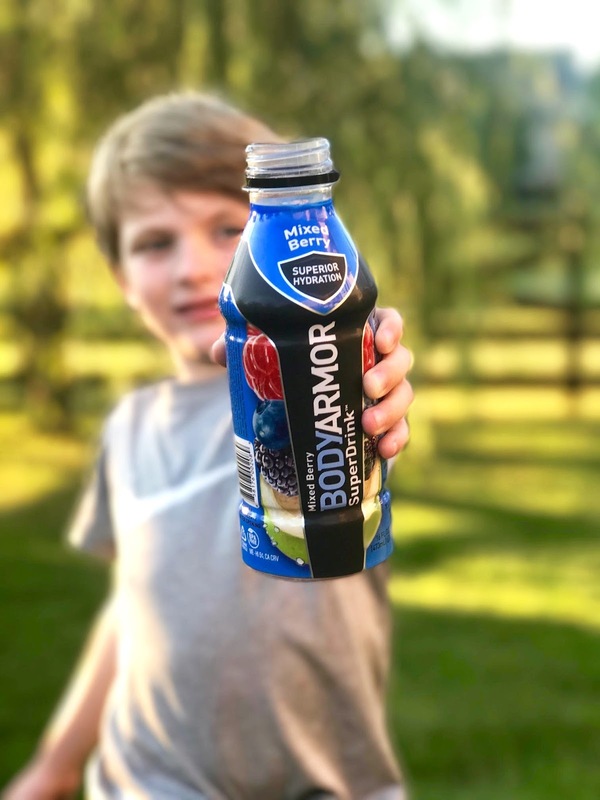 We love BODYARMOR so much that we've teamed up with our partners at Kroger to let you in on a fun deal they are having as well as a chance to win a gift card to buy your own! 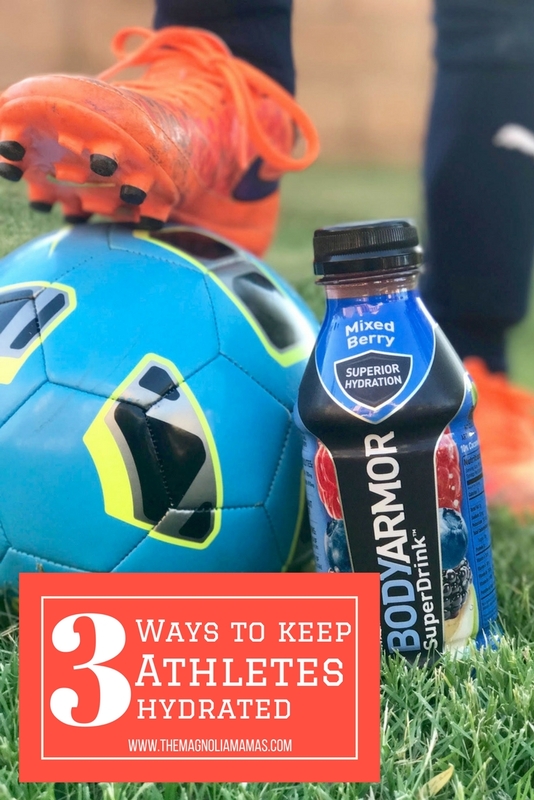 We are giving a chance to not one, but TWO lucky readers to win a $25 gift card to Kroger to give this super sports drink a try. Enter below and the winners will be announced on July 6th. 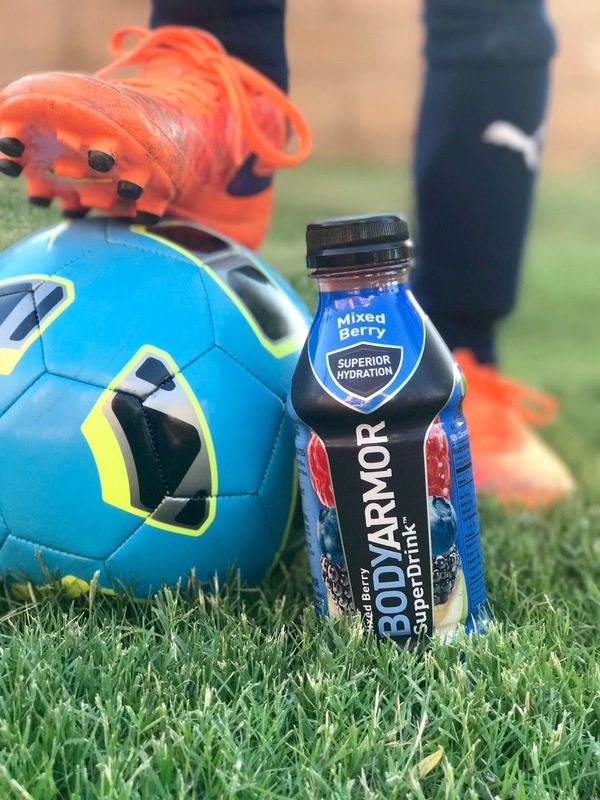 If you want to give BODYARMOR a try before then we have a special coupon for you! Visit your local Kroger and use this coupon to receive a special discount on your purchase of BODYARMOR. Also, as a bonus Kroger is doing a 10 for $10 promotion on BODYARMOR until July 4th. A great time to give it a try and stock up for your little athlete before they kick up their training again after the holiday weekend! 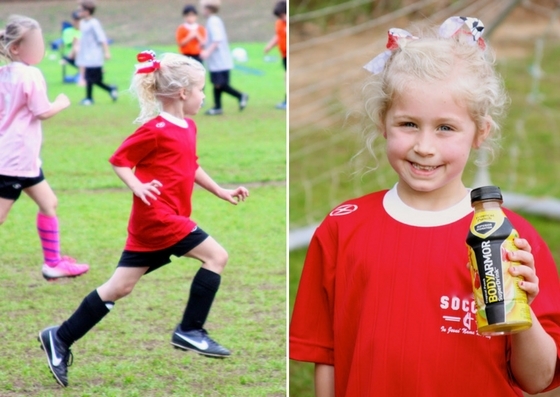 What are some of your sports mom essentials for keeping little athletes hydrated? **GIveaway winners must be 18 or older. They must be a U.S. resident and claim their prize within 24hrs or an alternative winner will be chosen.